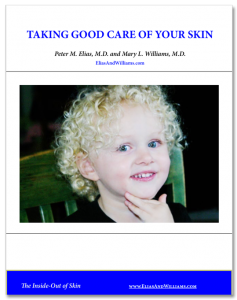 Dermatologists, Sun Bathing and Eczema - Elias and Williams: The Inside-Out of Skin by dermatologists and skin researchers Peter M. Elias, M.D. and Mary L. Williams, M.D. Yet, ultraviolet light therapy is a time honored and effective treatment for inflammatory skin conditions, like atopic dermatitis and psoriasis. 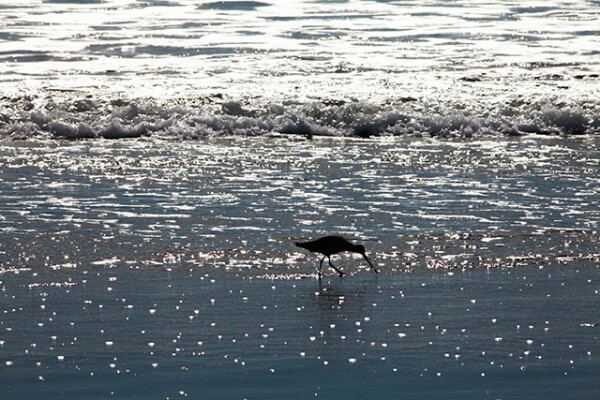 Typically these treatments which use the sunburning, UV-B, portion of the sun spectrum are given in the physician’s office, to prevent over-dosage. The desired exposures are ‘sub-erythemogenic’, meaning they are below those that will produce skin redness or sunburn. When our modern life led people to leave the farm and settle in cities, we began to experience an epidemic of allergic type disorders, like asthma and atopic dermatitis. The prevailing theory for this increase in allergic diseases has been called the ‘hygiene hypothesis’, which roughly states that with the decreased exposures to the microbes of farm animals, our more naive immune systems shifted towards allergy type reactions. But perhaps that’s not the full story. Urbanization also led to a reduction in sun exposures. As we have discussed elsewhere on this site, doses of UV-B below the sunburn threshold are actually beneficial for the skin barrier, while those higher doses which produce sunburns damage the barrier. An impaired skin barrier as a feature of both atopic dermatitis and psoriasis. With our Danish colleague, Dr. Jacob Thyssen, we recently proposed that insufficient exposure to moderate doses of sunlight could be contributing to the current epidemic of atopic dermatitis. For more about this hypothesis, see our recent summary published in The Advocate (vol. 27, no 3, 2014), the newsletter of the National Eczema Association. Does this mean that we should all be getting a little more sunlight? The best answer remains, “No”. While “moderate” doses of sunlight may be beneficial for the skin barrier, they may still promote skin cancer. Its a delicate trade-off of risks and benefits. Also, its very difficult to define what a moderate dose of sunlight would be. The intensity of UV-B in sunlight is highly variable, depending upon not only time of day, time of year and atmospheric conditions (cloudy or clear), but also latitude (sunlight is more intense in the tropics) and even altitude! Then there are immense individual differences in sun-sensitivity. Obviously it takes much less time under the same conditions for a typical redhead to experience a sunburn than it would for someone well-endowed with skin pigmentation. With the risk of damage to the skin resulting in the development of skin cancer down the road, coupled with our difficulty to determine a moderate dose of sunlight for a given person at a given place and time, the prudent choice is still to: avoid sun bathing and instead to cover up and use an effective sunscreen on sun-exposed areas. For more on healthy skin habits, sign up to receive our free brochure: Taking Good Care of Your Skin.